This moisturizing hair mask offers an intense treatment to penetrate the cuticle to help reconstruct, rebuild strength, and restore elasticity. It hydrates hair from within and improves texture and shine. The mask also aids in reversing damage caused by environmental factors, heat stress, and chemical and color treatments. 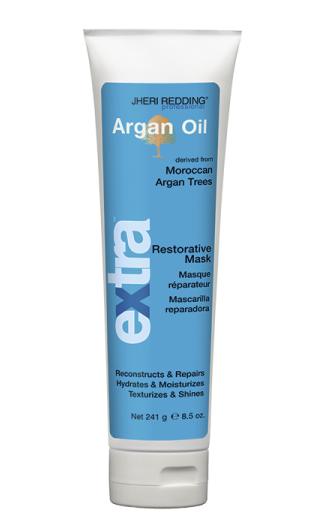 Bring hair back to life with Jheri Redding® Argan Oil Restorative Mask.